Sacramento may have lost its Jazz Jubilee but the traditional jazz beat continues over the Labor Day weekend with the inaugural Hot Jazz Jubilee at the Marriott Hotel in Rancho Cordova.Running Aug. 30 through Sept. 2, the new Jubilee will have performances by 14bands playing in six venues,three with a dance floor. In all,120 indoor sets at one location.No long walks or shuttle buses between venues.Sacramento now calls its former Dixieland Jazz Jubilee a Music Festival, held Memorial Day weekend and featuring a broader range of music, from Dixieland and blues to jazz combos and zydeco.“This is strictly a jazz thing,”said Ken McMurray, promoter and director of the Rancho Cordova three-day affair.“There will be no rock bands.”The Sacramento Music Festival is a “supporting partner” of McMurray’s event but is not a sponsor. It’s been fully cooperative, however, in encouraging McMurray and is loaning him Music Festival sound equipment,musical instruments,staging gear and even wheel chairs. A year ago, McMurray, 62,hosted “a real nice event” at Sacramento’s Radisson Wood-lake Hotel, booking some Music Festival performers and netting just over $6,500, a portion of which he donated to the Festival.“While we thought his idea of a jazz jubilee in Rancho Cordova after our Festival was a good idea, we were financially strapped at the time and just couldn’t finance it as he asked us to,” said Tom Duff, president of the Sacramento Music Festival and prospective executive director next year of its sponsor, the Sacramento Traditional Jazz Society.Undaunted, McMurray, who lives in Carmichael, moved ahead to put on the Jubilee himself. McMurray said he’ll donate a portion of his Jubilee proceeds to the Festival. The Hot Jazz Jubilee will feature Bob Draga, Jason Wanner, Yve Evans, Big Mama Sue, Gary Ryan and Shelley Burns.Meschiya Lake & the Little Big Horns will debut. Performing groups include the Bob Draga Quartet, Tom Rigney & Flambeau, Blue Street Jazz Band, High Street Band, High Sierra Jazz Band, Bob Ringwald’s Fulton Street Jazz Band, Au Brothers with Howard Miyata, Sister Swing,New Orleans Racket Makers with Sherri Colby, Gator Beat,Shelley, Bill & Eddie, The Crescent Katz and Hot Flashes. There will be a pool party Friday evening with hosted hors d’oeuvres and a no-host bar for those with four-day badges and a wine tasting event McMurray said he has had badge buyers calling from Maine and Wisconsin.There will be limited parking spaces for RVs in the Marriott parking lot. 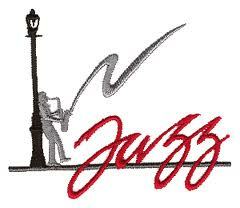 Make RV reservations by calling (916) 813-7665 or via email at ken@HotJazzJu-bilee.com.